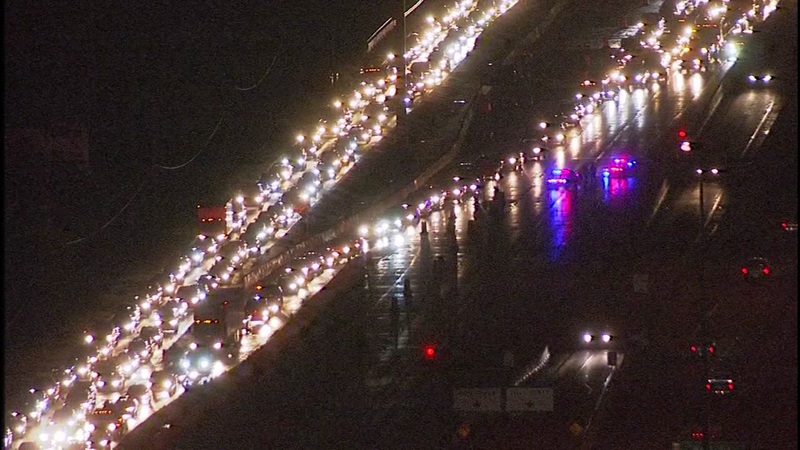 HOUSTON (KTRK) -- A broken down striping truck is to blame for massive delays this morning on State Highway 290. TxDOT says workers were trying to stripe the area surrounding an inbound ramp at Fairbanks North Houston overnight, but then they had an equipment malfunction. Those same workers had to stripe the highway by hand, causing major backups as they attempted to finish their work through this morning's commute. The ramp was reopened just as torrential rains hit the area, causing even more backups.